The landlord ultimately is responsible for renting only habitable premises. In many cases, the needed repair affects the habitability of the unit. That means the tenant can pass the cost of the repair on to the landlord. The tenant has no reason to keep that cost low or to question a contractor who may be charging too much. By handling the repair, the landlord may be able to minimize unnecessary income loss. Choosing the right contractor for repairs requires research. First, the tenant must figure out which trade handles the repair, and then which of many competing services to hire. The tenant’s priority is speed, not cost or skill level. As experienced property owners have discovered, the person who is available soonest is not always the best person for the job. A repair done badly can cost more to correct than the original job. A worst case scenario for landlords: tenants who attempt to perform their own repairs. Misuse of pesticides is one example of the possible dangers to tenants and the property. Botched repairs are dangerous, and can increase landlord liability should that tenant or anyone else become sick or injured. Some repairs must be performed by licensed contractors. If that does not occur, not only has the landlord violated the law, but the tenants and property are at risk of injury. In the case of poor workmanship, if a contractor damages the property or fails to properly make the repair, the landlord still may be liable for any resulting injury. Yet the landlord may not have a contractual relationship with the person or company who performed the repair. That may make it difficult to pursue the contractor or the contractor’s insurance in order to recover any losses. 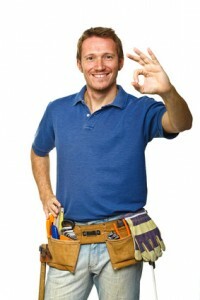 Any warranties on repairs may not pass to the landlord. The landlord may not be aware of who performed the repair or damaged the property. Landlords may suffer from any dispute between the tenant and the contractor over the charges. There is no way of knowing if the tenant actually paid the contractor. Take on repairs. Ask the tenant to report issues, and frequently inspect the property for latent problems that require attention. Then, hire the appropriate contractors and keep the property in good condition. Prepare by interviewing contractors in advance. Develop a list of skilled workers who are available to complete repairs when needed. Develop a maintenance plan and perform routine maintenance. This must be done regardless of how long a particular tenant stays at the property. Property damage is likely to occur with long-term tenants because maintenance is delayed until after that tenant moves. Many repairs can be avoided altogether by keeping appliances and other systems in good functioning order.